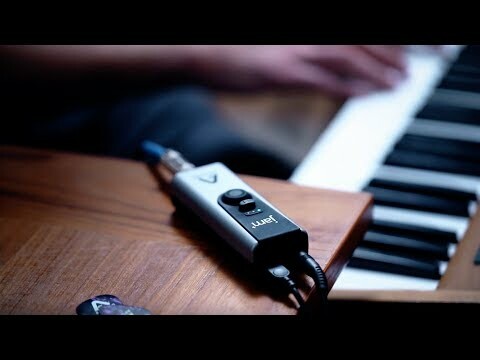 Highlights: Apogee’s PureDIGITAL connection for pristine sound quality. Works with guitar, bass, keyboards, synths, or any acoustic instrument with pick-up. Dual mode option for Clean or Overdrive signal. Drive mode makes virtual amps and effects sound more realistic. Stereo output connects to headphones or powered speakers. Blend mode minimizes delay in headphones while recording. No configuration, just plug in and play. 24-bit/96kHz high resolution audio Rugged metal body with soft touch base. Works with iOS, Mac and Windows PC. Includes Lightning, USB and USB Type-C cables. Includes BIAS FX Jam software with premium amplifiers and pedal effects. Do you own Apogee Electronics Jam Plus Pro Instrument Input and Output Interface or have you had a chance to try it?